Founded in 1903, the community of Deerfield has gone through many changes and, deservedly, has earned its place as a top choice for suburban homeowners. Located primarily in Lake County and parts of Cook County south of the Lake-Cook Road corridor, Deerfield is surrounded by communities such as Riverwoods, Highland Park, Bannockburn, Lincolnshire, Northbrook and Lake Forest. Deerfield offers many activities and attractions to its residents during every season of the year. With its easy access to both Interstate-94 and the Tri-State Tollway, this community continues to attract new residents and visitors every year. A variety of stores and eateries draws crowds from all around the North Shore to Deerfield. Deerfield Square, located in the center of downtown Deerfield, contains a number of retail shops, unique boutiques, and restaurants for children, adults, and families. 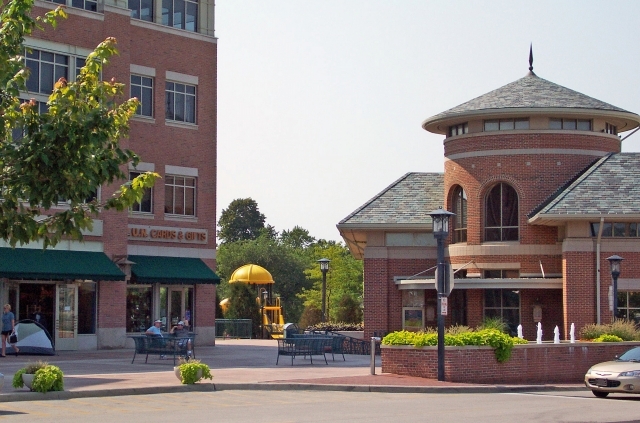 Strolling through Deerfield Square, shoppers can stop at places such as Anne Taylor Loft, Barnes & Noble or quickly grab a bite to eat at Potbellys or Tom and Eddies. On Thursdays during the month of July, community members can enjoy a night with family and friends while listening to live music in Deerfield Square. Outdoor concerts also take place at Mitchell Park on Sunday nights. Specialty food stores such as Whole Foods Market and the newest addition in 2014, Fresh Thyme, has many traveling near and far to shop for organic products. Each year from June to October, the Village of Deerfield hosts a Farmer’s Market that occurs every Saturday. There are also a number of casual restaurants that are very family-friendly as well as a sport’s bar called Trax which hosts crowds of all ages and many local meetings. The Deerfield Park District provides a variety of community centers available all of its residents. In the past decade, the Deerfield Park District has opened the active Patty Turner Senior Center and the health-club style Sachs Recreation Center to its community members. Deerfield additionally features a public 18-hole golf course, two public pools, and 21 parks/field facilities. Ranging from forest preserves, nature paths, playgrounds, and sporting fields/courts, Deerfield is a lively community at any time of the year. Known for its outstanding schools and commitment to education, Deerfield is home to Public School District 109, which houses four elementary schools and two middle schools. District 109 feeds into Township High School District 113. In summer 2012, Chicago Magazine ranked Deerfield High School the number one high school in Lake County. 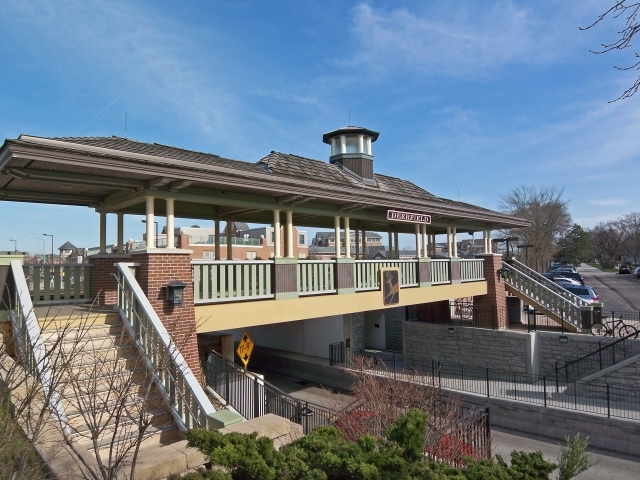 Metra’s Milwaukee District North Line runs straight through Deerfield, making two stops, one in the center of town at the original Deerfield station and a newer stop at the Lake Cook train station which services the south end of the village. Click here for more information on the Metra Rail System and train schedules. Pace bus service and parking are also available at both stations. In addition to great commuter train access to downtown Chicago, Deerfield has easy access to both I-94 and the Tri-State Tollway, making the roughly fifteen-mile ride to O’Hare International Airport a quick trip. For those living on the east side of town, access to the Edens Expressway from Route 41 is never a challenge. For additional information regarding the Village of Deerfield, please visit the community website.